It is perhaps the defining challenge for regulators in most industries today: Figuring out how to apply old laws to new technologies. The financial services industry poses a particularly acute example of this dilemma: much of the legislative framework governing the financial industry was designed before computers and the internet, let alone blockchain and Bitcoin. This is a problem for businesses as much as it is a problem for regulators. It can be hard, if not impossible, to launch an innovative product when there is uncertainty as to how the product will be regulated. There’s a potential solution to this conundrum, however. Financial regulators in several jurisdictions have used what’s known as a regulatory sandbox approach to help reduce uncertainty for innovative businesses. In a regulatory sandbox, businesses are eligible for the relaxation of specific regulatory requirements so that they may test new products in a real-world environment, albeit with more hands-on supervision and defined limits to protect consumers. The idea of a federal-level regulatory sandbox seems to have caught on recently among federal regulators, so it’s worth asking: What would a federal regulatory sandbox look like, and what challenges would regulators have in designing or running one? Sandbox designers must decide how the program will protect consumers, what sort of businesses the sandbox will accept, and how to ensure consistent communication between regulators and participants. Consumer protection is key—relaxing regulations can put people at risk, and regulators have a duty to manage that risk. Establishing a time limit for participation in the sandbox is an important element of limiting risk to consumers. Programs in the United Kingdom and Singapore limit participation to six months, whereas an Arizona program caps the duration at two years. Arizona also limits businesses to working with no more than 10,000 consumers. It is essential that regulators carefully consider the risk tradeoffs when crafting sandbox limits. Longer-duration programs that reach more consumers would allow for more thorough product testing for fintech firms, for example, which would benefit both the firms and consumers. But if a product turns out to be a bad one, more consumers could be hurt. Regulators must also consider what sort of businesses a sandbox should try to attract, another decision that has implications for consumer protection. Australia’s sandbox program, for example, accepts businesses with business-to-business products but not business-to-consumer products. This policy helps to limit the risk to consumers of a potentially harmful product. Relatedly, some programs focus on certain markets within the financial services industry, such as investment advisory, insurance, or retail banking. Arizona’s sandbox, for example, does not accept applications for security-trading or insurance products, or for businesses that take only deposits. This approach could limit risk for consumers and it can have logistical advantages for regulators, who may not have expertise or authority in all areas of the financial services industry. Hong Kong’s sandbox is unique in that its participants are existing financial institutions testing new products, which can ensure that sandbox participants have significant experience serving consumers, but could promote fintech extensions of existing business models rather than products that serve consumers in truly new and different ways. In the United Kingdom’s sandbox program, each participant is assigned a case officer who becomes their primary point of contact with regulators. Additionally, participants submit an evaluation of lessons learned and outcomes of their time in the sandbox, giving regulators more information with which to improve the program as well as regulation going forward. Hong Kong’s sandbox uses a “Fintech Supervisory Chatroom” to facilitate ongoing communication between regulators and businesses. Businesses contact the Chatroom through email, video conference, or in-person meetings to consult with regulators and determine whether proposed products or business practices are allowed. The federal government already has functions that could be used to facilitate effective communication, including the Consumer Financial Protection Bureau’s Project Catalyst, which is being relaunched as the Office of Innovation, and the Office of the Comptroller of the Currency’s own Office of Innovation, which serves as a point of contact for fintech firms as they prepare to apply for OCC-granted charters. 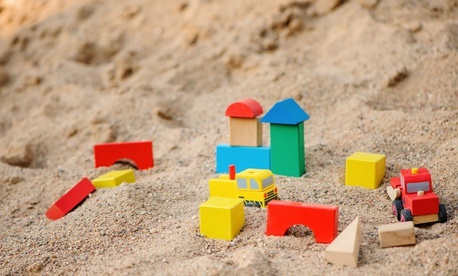 While regulatory sandboxes are often portrayed as good for businesses, they can be beneficial for regulators as well, if they are designed and managed effectively. The opportunity for regulators mirrors that of participants: sandboxes allow regulators to see how consumers interact with new fintech products in a limited setting, which limits the risk of these products for consumers. Regulators can learn from the consumer-protection challenges that they encounter in the sandbox and draw on these experiences as they design regulation for new fintech products, rather than making educated yet speculative predictions about how consumers must be protected. Perhaps the greatest opportunity for regulatory sandboxes is the application of these programs in areas other than fintech. While the financial services industry is uniquely suited for a regulatory sandbox due to the scrutiny it receives and the growth of disruptive tech-enabled products, many other industries have seen rapid change as a result of new technologies. They too suffer from outdated regulatory frameworks that have not kept pace with changes in technology. Sandboxes provide an opportunity to change that. David Hervey is a finance policy fellow at National Journal. He is a graduate of Emory University,where he studied Political Science and Economics, and is now based in Washington, D.C.